At every turn we have had better options than many of the preceding children on the neuroblastoma path. The odds we have conquered came at no small price, but we are still among the luckiest. We thank God for that every day. The combined treatments over the years have side effects. Some side effects are short term (weight loss and hair loss) others are long term problems. 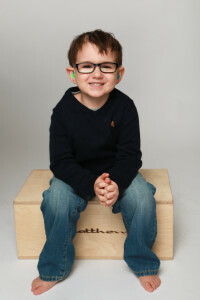 Liam’s profound hearing loss is one major long term issue that can be seen everyday. 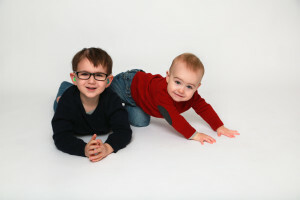 We are blessed once again that the trail blazers in the hearing loss community have devised technologies that assist Liam daily. We use hearing aids and for school we purchased a fantastic microphone system so that the teachers are heard over a crowd of 6 year olds. The chemotherapies and radiation that were used also cause problems that we don’t see everyday. Liam’s liver is one organ that has been ‘gunked’ up with the 4 dozen blood transfusions and toxic chemotherapies received. Our last dose of chemotherapy was February 2013 we had to stop the plan/protocol early because of how terribly his liver and body was tolerating the medicine. It is amazing how much treatment continues even after the tumors have gone. There are so many medicines that are given just to keep the cancers away. If memory serves me right we would just be finishing the protocol for the brain relapse if his organs had tolerated the treatment. 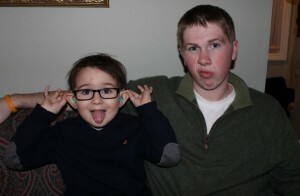 His brain tumor was removed 2 years ago! What a blessing in disguise if you ask me. I have learned years ago that the ups and downs of cancer are outrageous. What can seem like the end of days can turn out to be the best thing around. My everyday became so much better when I finally accepted that there are many things that we can not control. In a sense, I leave it in God’s hands. I’m not saying I don’t freak out from time to time but I am getting better with practice. I write today with the hopes to share our joy and promote hope. Last February we were dealt a horrible hand. After receiving the all clear on all things neuroblastoma we were told that a new bigger problem arose. A devastating long term problem that can happen after cancer treatment is a change in a persons DNA. I will explain this in the way that I understand it. To put everyone at ease this story has a good ending. Everyone has the picture of the DNA ladder in their mind…the swirly ladder. Liam’s DNA was damaged in a way that one of the ladder rungs had gone missing. The missing rung of the ladder was going to continue to replicate damaged DNA and turn to a different form of cancer(AML) We had a lot of discussions with our wonderful team at Lurie Children’s Hospital and for the 3rd time in 3 years we were facing the death of our boy. Needless to say we were shocked. Our treatment options were severely limited because of his liver issues. We were told that this new problem could only be repaired by having a Bone Marrow Transplant from a Donor. We tested ourselves and Jack and we were not a match. The team found a match. A young man that took the time to register himself through www.bethematch.org (I joined that list years before Liam was even born, I hope you will to). We had to do some more scans and exams before heading down the road of treatment choices. On the check we were given the grim truths and chances of survival that were bleak. It was hard to believe that they were talking about our boy while Liam was feeling as strong he had been in a long time. We did what the Kelly’s do best, put on a smiling face and headed to Disney. It was an amazing trip and we were able to enjoy each other and have time for reflection. Long story short was that we arrived home from California and started a new plan. We chose to live with the health we have now and prayed that if given a chance to heal, Liam’s body could repair. Sounds naive, but his poor body has never had a chance to rest and heal. We have always relied on nature for good nutrition we just started leaning more heavily on nature and God. You might be wondering why we didn’t share this diagnosis with you before. It has been a long year but we really believed that this problem would resolve and the more I would say it out loud the more doubt I would see in the eyes of Doctors and we couldn’t invite more doubt. We were living everyday like the change was already happening. Liam was getting better and better before our eyes. I believed that we were in for a flood of good favor and today we are celebrating that favor. 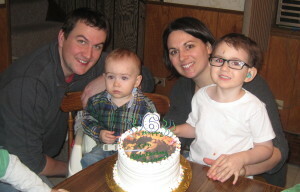 Liam had a bone marrow biopsy on January 30 along with his other scans. His Brain scan was clear and wonderful I joked with him that there was nothing but a super smart brain. 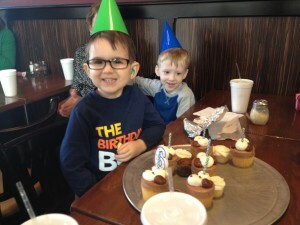 It took what seemed like an eternity to have the bone marrow results but they finally came back and to the astonishment of all, Liam’s DNA has returned to normal!!!!!!!!!!!!!!! There is no need for a bone marrow transplant. This is a rare wonderful thing, we haven’t even asked how rare. It is like we won the good blessings lottery. We get to continue healing with nature. Liam remains independent from transfusions. We haven’t had any blood or platelets since the end of March 2013. The only visits we have are the monthly blood draw and IV port flush that we can do at home. This last year has been amazing. Liam has grown in mind, body and spirit. Every month his blood counts are better than the last. 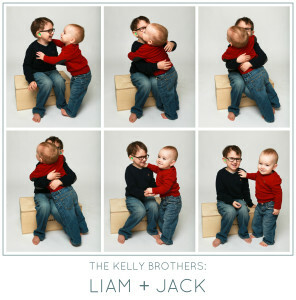 It is indescribable to watch Liam and Jack together. At one time we feared that they would never meet and now they are best buddies. I have shared this story because I want to share our joy, our new lease on life that is free from looming disaster. What we have witnessed is a miracle and there are many people who are facing unbelievable odds and I want to encourage your faith. It was from hearing stories of the miraculous that we were strengthened to believe. No matter what the future brings we are living today the best way we know how and enjoying every minute with family and friends.